Blue Coat believes it can shake up the networking channel with a product that focuses on application management rather than just the standard ports and ISP addresses. 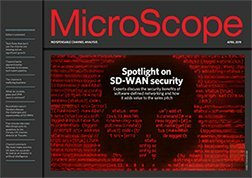 The vendor outlined its vision to MicroScope surrounding its Application Delivery Network product claiming that packet based networks would struggle to manage true optimisation for customers. Mike Hemes, regional sales director, UK, Ireland, Israel and South Africa, said that without being able to track the application its rivals were offering a service that was guaranteed on outdated approaches to the network. “All SLAs are packet based and if I deliver all SLAs on a packet network it is not necessarily delivering any application,” he said. He added that from a reseller perspective it tapped into customer demand for greater centralisation and management controls and it would provide a chance to pitch something that would appeal to those investing in infrastructure between branch offices. “You cannot run your business on a carrier packet service.This is where the real value starts to play out,” he said. Dave Asprey, vice president of technology at Blue Coat, said that it believed that the days of managing a network via ports were coming to an end and it expected its product launch to change the rules of engagement with rivals just focusing on the network rather than applications struggling in the future.